If you want an easy way to balance your beer lines this is the way to do it. This is perfect for people who want to serve a large range of beverages with differing carbonation levels as it gives you the ability to adjust resistance easily. 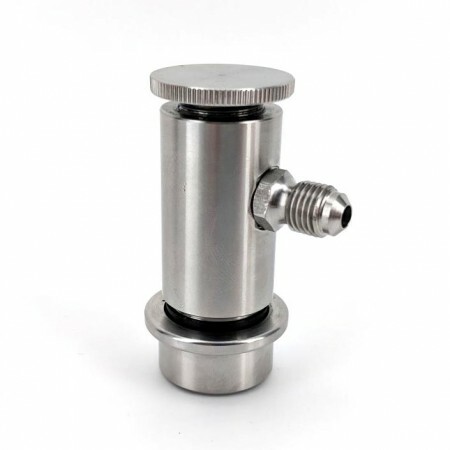 This stainless steel ball lock disconnect is quality machined from stainless steel with MFL thread. It's ideally used with duotight MFL fittings. As you would know setting up your beer lines isn't just about getting beer from keg to tap. You also must make sure your system has the right flow resistance. Flow control devices are good but they inherently can create a small amount of turbulence and therefore can cause foaming. In the past flow control taps have been the only common option. Flow control taps like these ones are popular however they have the issue that due to the fact they are placed right at the end of the beer line they have no head pressure. As a result any turbulence created can cause foaming and carbonation to come out of solution. 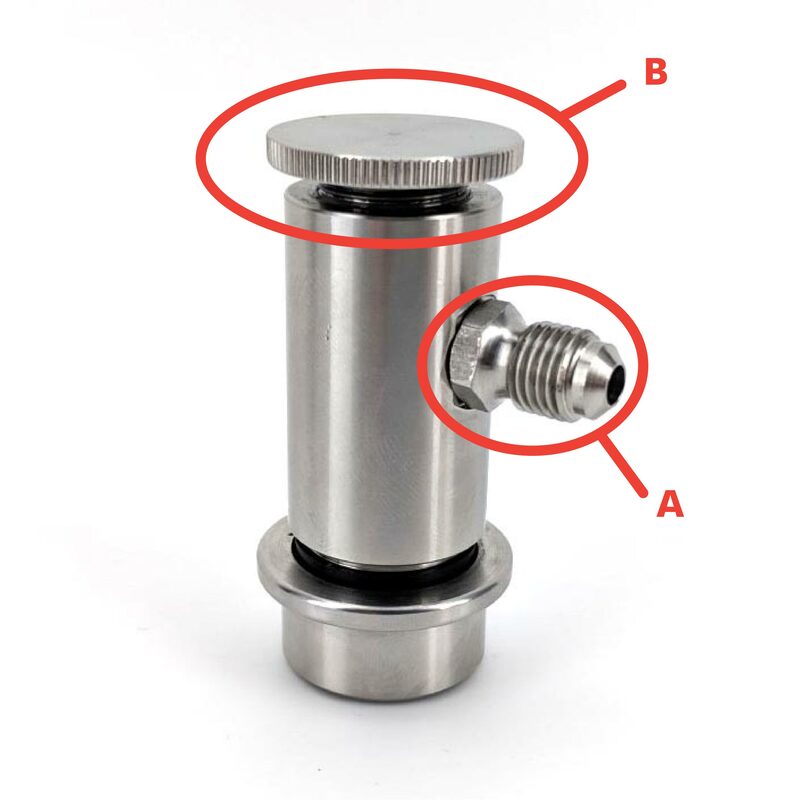 Flow control ball lock disconnects like these on the other hand have the ability to restrict the flow before the beer enters the beer line so the head pressure created by the beer line keeps the carbonation in solution. Even in the instance that high turbulence is created the beer will be far more resistant to foaming issues. For this reason flow control ball lock disconnects like these have significantly better performance allowing you the flexibility to adjust line resistance easily but without the introduction of turbulance that creates foaming. Dissassembly is not normally required for cleaning. Cleaning can be done simply by washing Powerful Brewing Wash through the unit. If however you really want to take it apart for cleaning it's quite simple. A - First remove part A with a spanner. B - Then unscrew part B and the unit will come apart.